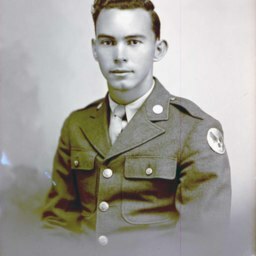 Letter from Joseph M. Hines, a Toms Brook native who was then serving in the United States Marine Corps, to his parents Duval and Mary Hines in Toms Brook Virginia. 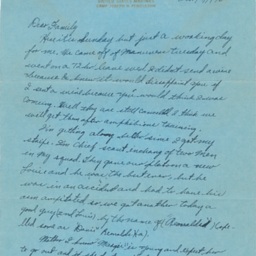 The letter was sent from Camp Joseph H. Pendleton in California on October 17, 1943. 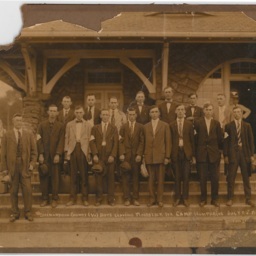 On July 26th, 1918 local photographer Hugh Morrison took this photograph of local men preparing to basic training at Camp Humphries, now Fort Belvoir, in Fairfax County Virginia. 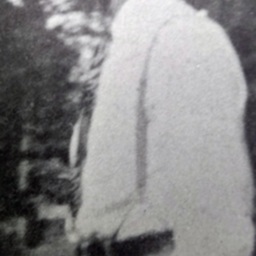 A photograph showing Earl Dyer of Woodstock taken by Hugh Morrison of Woodstock. 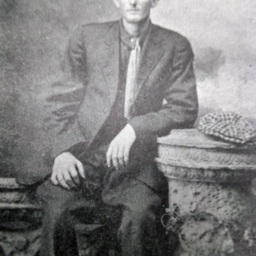 An image of Joseph Luther Burner of Maurertown Virginia. 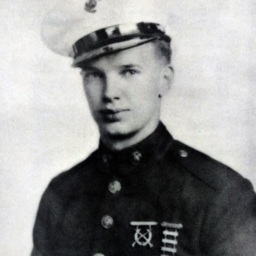 He enlisted in the United States Marine Corps on January 7, 1942 and was trained in Parris Island South Carolina. 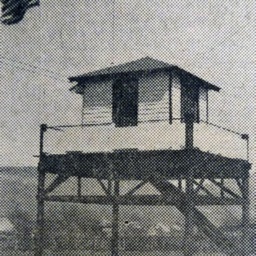 Photograph showing the aircraft observation tower located in Edinburg Virginia. 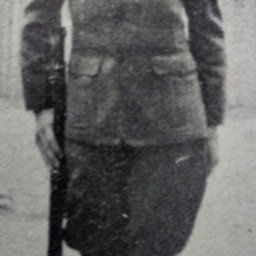 Such towers were built and staffed by local civil defense groups in order to warn of possible enemy attack and to monitor aircraft over the area. 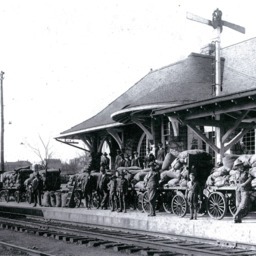 In 1915 the German Army released the effective Chlorine gas attack of World War One against British positions in Ypres. 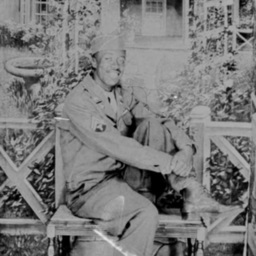 Before the end of the war these types of Chemical agents would kill or injure millions of men on both sides. 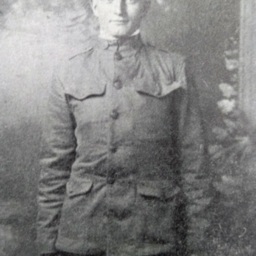 Photograph of Herbaugh Smith from the book "Service Record World War I and II, Woodstock and Vicinity." 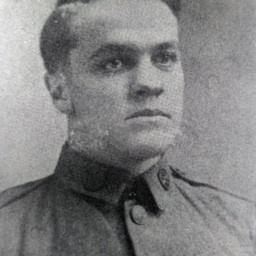 Photograph of Sheridan Miller from the book "Service Record World War I and II, Woodstock and Vicinity." 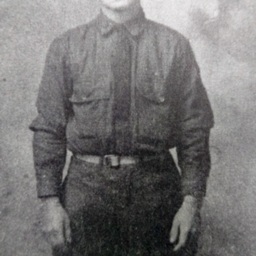 Photograph of Roy Clem from the book "Service Record World War I and II, Woodstock and Vicinity." 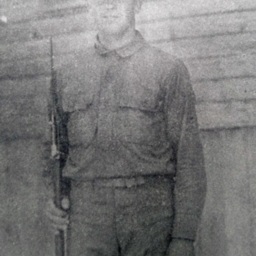 Photograph of Robert Funk from the book "Service Record World War I and II, Woodstock and Vicinity." 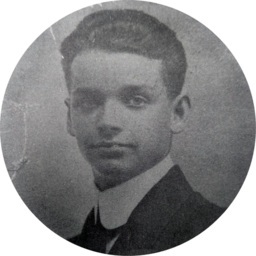 Photograph of Ralph Crabill from the book "Service Record World War I and II, Woodstock and Vicinity." 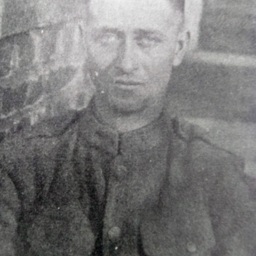 Photograph of Louis Joseph Burner from the book "Service Record World War I and II, Woodstock and Vicinity." 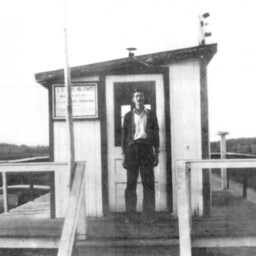 Photograph of Lewis Sonner from the book "Service Record World War I and II, Woodstock and Vicinity." 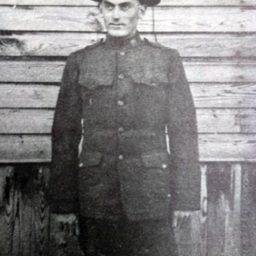 Photograph of Lloyd Hollingsworth from the book "Service Record World War I and II, Woodstock and Vicinity." 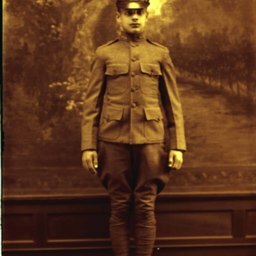 Photograph of Lester E. Tidler from the book "Service Record World War I and II, Woodstock and Vicinity." 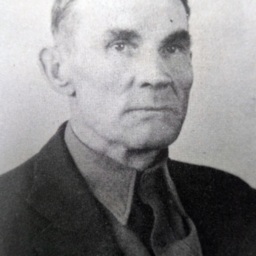 Photograph of John Myers from the book "Service Record World War I and II, Woodstock and Vicinity." 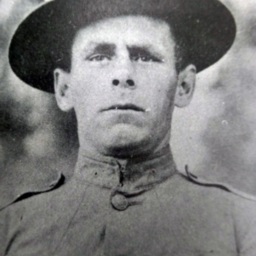 Photograph of Huie Peer from the book "Service Record World War I and II, Woodstock and Vicinity." 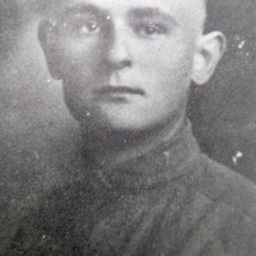 Photograph of Harry Gochenour from the book "Service Record World War I and II, Woodstock and Vicinity." 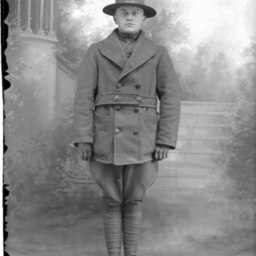 Photograph of Albert Steele from the book "Service Record World War I and II, Woodstock and Vicinity." 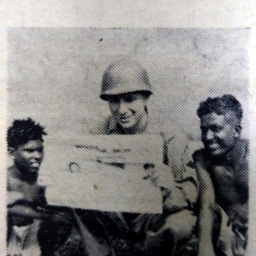 Photograph taken by Hugh Morrison showing an unidentified World War Two soldier. 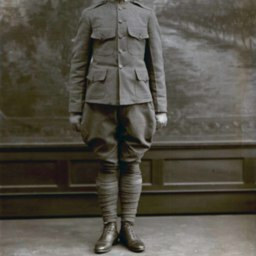 Photograph taken by Hugh Morrison showing an unidentified World War One soldier.